Nico Rosberg threatened to steal the spotlight off the local hero in Mexico City, by dominating in the run up to the race to secure his fourth consecutive pole position; or at least he certainly benefitted from Sergio Perez’s presence in Formula 1, which undoubtedly was the biggest pull for the 330,000 fans who came to the first grand prix in his home country in 23 years. 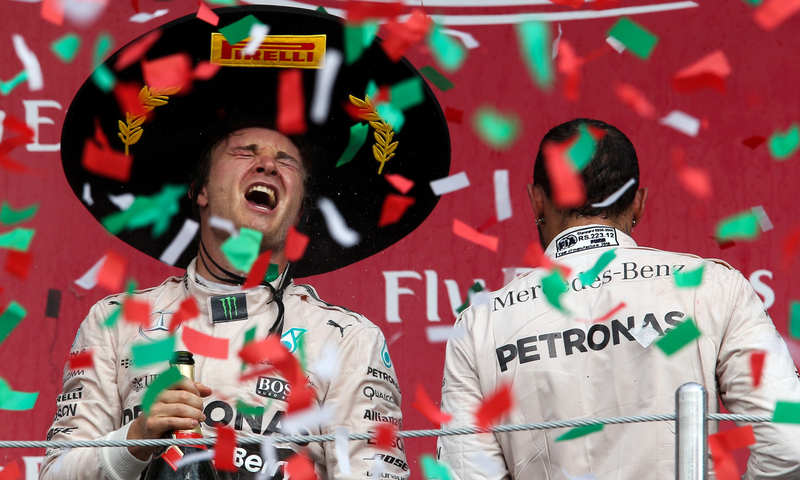 “That was the best podium of my life!” Rosberg said. “Thousands and thousands of people singing your name after winning on a great track… it’s unbelievable! In that moment you feel like a rock star on stage and I enjoyed every second. Thank you so much to all the Mexican fans who made my win here so special. And this reception was deserved, if judging by the German’s performance in Mexico alone, which earned him his first career hat-trick. 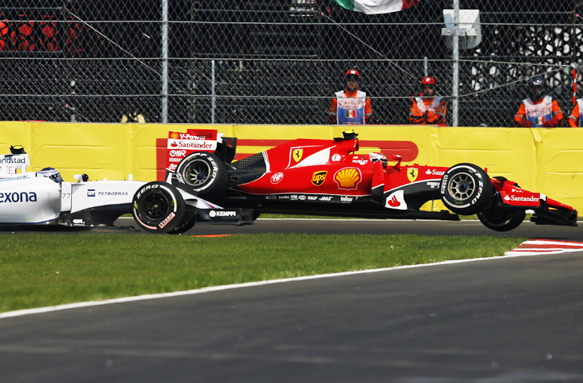 From pole, through the fastest lap, to race win – all pretty much faultlessly. 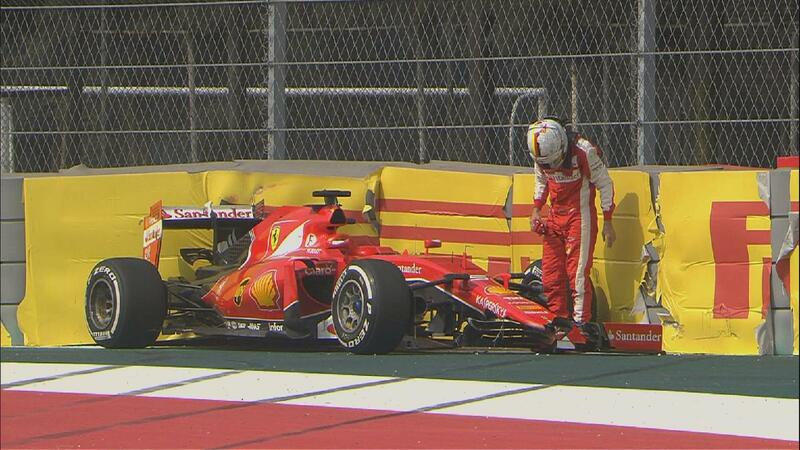 Vettel’s streak of good performance came crashing to an end in Mexico. For once, Rosberg did not lose his composure off the starting line and into the first corner and successfully defended the leading position from his team-mate Hamilton, and continued to do so throughout the 71 laps of the afternoon. The Brit wasn’t able to jump him at the first, planned pitstop, nor later on, when the team had decided to make another precautionary tyre change for safety reasons. Hamilton had contested the Mercedes’ decision, leaving his engineers to wait out in the pit area for an additional two laps after he got the call following Rosberg’s pitstop, but eventually conceded, returning the leading position to his team-mate. Even a safety car period, following Sebastian Vettel finishing a difficult afternoon in the wall on lap 52, did not throw Rosberg out of his comfort zone, and only a run off the track on lap 59 threatened to ruin his pursuit of a long-awaited win – but thankfully for him, Hamilton had made his own mistake on the same lap. And so, the “second” Mercedes driver managed to stand on the top podium spot for the first time since Austria this year, to make the most of the party atmosphere at Autódromo Hermanos Rodríguez – but a little too late. With no title to win anymore, the German had at least extended his lead over the now third-placed Vettel in the 2015 standings; which was not actually a difficult feat in Mexico. The four-time champion had an afternoon to forget, starting with a puncture on the first lap which forced him to make an early pitstop and begin a long pursuit of his 3. starting position. It was all going well, until he spun off on lap 18, and then eventually crashed out of the race. Payback time: although also here Bottas was not to blame for the collision, this time the Williams came out victorious. His team-mate didn’t do a better job for Ferrari, when he once more collided with Valtteri Bottas in a Russian GP-repeat; but this time it was the Prancing Horse that retired on the side of the track, while his countryman Bottas mastered his Williams across the line in 3. place. Other than that, there were little thrills on the circuit, if you exclude Felipe Nasr having to park his Sauber in the latter stages of the race due to a breaks issue, and Pastor Maldonado showing signs of improvement on his technique by narrowly avoiding a clash with the wall in his Lotus. Unsurprisingly, McLaren did not impress, as Fernando Alonso retired after lap one with issues identified earlier that weekend, while Jenson Button finished just ahead of the Manor/Marussias in 14., after receiving a record-breaking 70-place grid penalty for a number of new power unit components outside the allowed limit. Perez, or Checo, failed to deliver a spectacular crowd pleaser either, having to content himself with 8. across the line, just behind his Force India team-mate, Nico Hulkenberg. 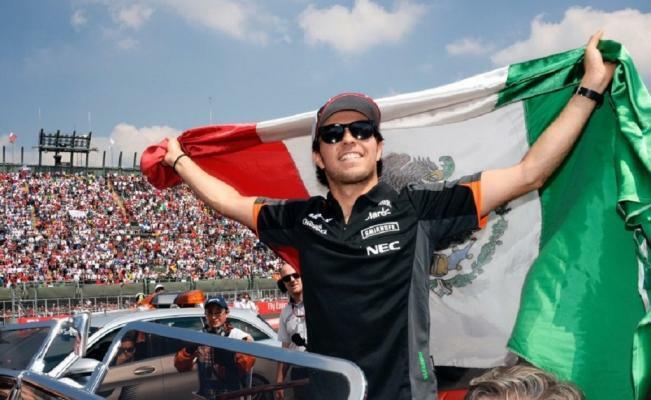 Even if he didn’t deliver a spectacular result, Perez was treated in Mexico like a hero. “The race today was probably one of the most difficult of my career because I was very unlucky with the timing of the safety car, which really didn’t help my one-stop strategy,” the Mexican said after the race. “To stay ahead of them [Hulkenberg and Williams’ Felipe Massa] and finish in eighth place is probably one of my best performances in Formula One and I’m very happy I could score points in front of my home crowd. I am very lucky to have this huge support from my country and I will remember this weekend forever. The reinstated grand prix has proved so popular, in fact, that the USGP organisers fear for their future, when comparing this year’s turnout in Austin to the expected ticket sales in Mexico in 2016 – plus, the later’s closer proximity to the historic Brazilian Grand Prix. Talking of which, the action begun at Interlagos yesterday with both Mercedes drivers’ taking turns for the leader position in the first two practice sessions. Both have a point to make: one, to put a stamp on their Ayrton Senna tribute; the other, to show he might have lost, but he’s still not done. The battle for pride continues.